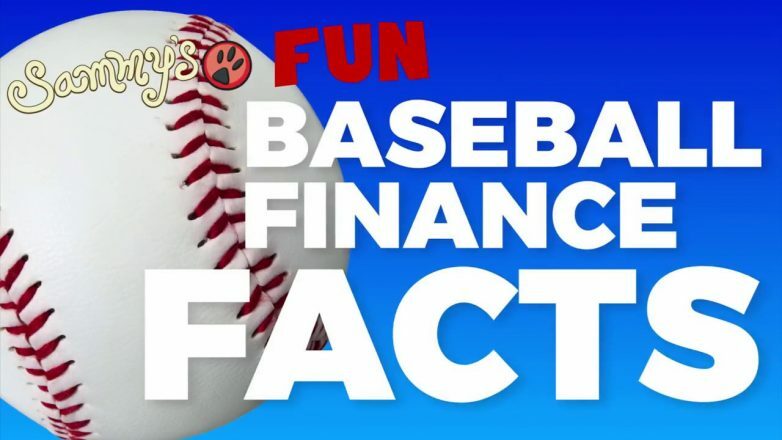 6 second take: Retired baseball player Dennis Powell has some great advice for teaching kids about money. This special series is part of CentSai’s commitment to financial literacy at every level. We’re collaborating with financial education advocate Sam X Renick on a series of short interviews, videos, and tips for teaching kids about money. I had the pleasure of meeting retired Major League Baseball (MLB) player Dennis Clay Powell at Career Day at Allesandro Elementary School in Los Angeles. Powell is a former pitcher who played for the Los Angeles Dodgers, the Seattle Mariners, and the Milwaukee Brewers over the course of eight seasons in the big leagues. His major-league career spanned from 1985 to 1993. He also played one season in Japan, in 1995, for the Kintetsu Buffaloes. For the last 20 years, Powell has been a motivational and corporate speaker, as well as a member of the Dodgers’ community affairs outreach team. His topics include success, leadership, and overcoming adversity. During his visits to schools, YMCAs, Boys and Girls Club, and youth events throughout the city, he talks and reads to students, motivating them to give their best efforts and to become the best versions of themselves. Sam X Renick: Dennis, would you please share with us one or two of your childhood memories related to learning about money? Dennis Powell: As kids, neither my parents nor my wife’s parents taught us anything about money or financial Institutions. I grew up in a small town in Georgia, and my wife, Brenda, grew up in California. As you can imagine, opening checking, savings, and retirement accounts was foreign to us as we grew into young adults. This type of financial neglect caused us both some early hardships and setbacks when it came to money. In fact, we were not even aware of what questions to ask about accounts, interest rates, financing, or building and establishing credit. Since I grew up to become a Major League Baseball player, it was even more disheartening. I didn’t learn about individual retirement account (IRAs), stocks, or bonds until years into my career. 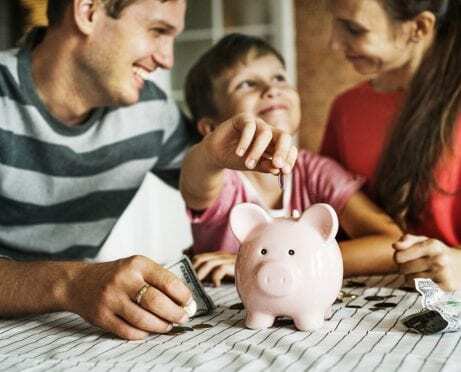 Renick: How did you and your wife’s experience affect what you taught your children about money? Powell: As a result of our experience, my wife made it a priority to educate our children about money. She got them actively involved with money at an early age, teaching them how to tithe to the church and save money for themselves out of their birthday money. She made sure each of them had bank accounts with deposit record-keeping books. We would let them use our ATM cards to make deposits and withdrawals. Recently we did the same for our grandchildren. We have two little piggy banks in which they deposit their pennies, dimes, and quarters until the banks are filled. Then my wife or I will have the kids organize their savings into categories: tithing, savings, and spending. We have them take their savings to the bank, make out deposit slips, and record the deposits in a bank record book. Renick: Do you think your fellow professional sports colleagues faced similar challenges when it came to money? Powell: Yes, I believe some of them experienced similar situations. A lot of us suffered financial abandonment. I believe our parents faced the same generational curse of neglect. Therefore, they passed down what had been demonstrated to them. 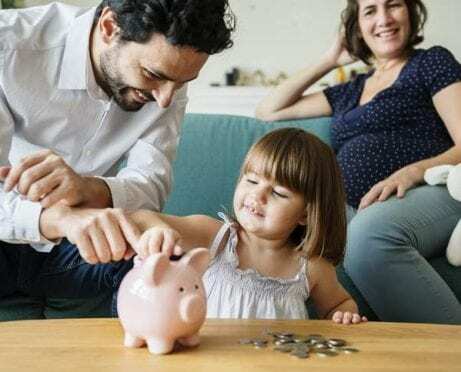 Renick: Do you have one tip about kids and money that stands out above others? Powell: Brenda and I think that teaching kids about how money works and not being afraid to release it is crucial to their success. Without the right early and ongoing personal finance education, it’s easy to develop fear, become overly cautious, and just hold onto money. 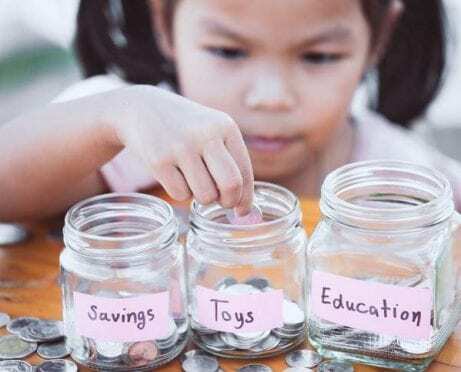 Kids need to also understand that if they’re going to gain financial independence, they will have to let go of some of their fear and put their money to work in investments, such as stocks, franchises, and businesses of their own. This is why education and exposure are so important.